Customer relationship management (CRM) is all about managing the relationships you have with your customers - We provide innovative, budget-tailored CRM. CRM combines business processes, people, and technology to achieve this single goal: getting and keeping satisfied customers. It's an overall strategy to help you learn more about your customers and their behavior so you can develop stronger, lasting relationships that will benefit both you and your customers. In today’s world the customer is, the one who makes the difference between a companies success or failure. It’s very hard to run a successful business without a strong focus on CRM. After all, it’s all about the customer. 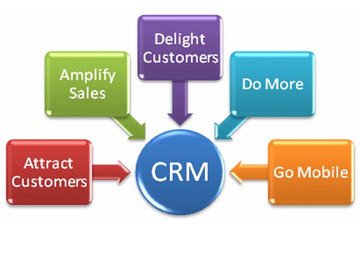 CRM is a comprehensive way to manage the relationship with your customers for long-lasting and mutual benefit. Modern CRM systems enable you to capture information surrounding customer interactions and integrate it with every customer-related function and data point. 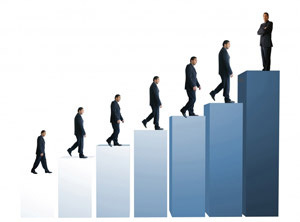 CRM can mean increased customer loyalty and profitability. On the plus side, customers with successful CRM systems report higher profits; lower costs to attract and retain customers; greater customer loyalty; and smoother, more streamlined workflows. Easy to use, customize, and maintain. Sales & Marketing - align your Sales & Marketing by integrating sales with campaign, leads, sales pipeline, forecasts etc.